Sleepless Street is a place that’s deep underground. A subterranean lane populated with Fellini-esque all-night partiers, insomniac artists looking for the truth, and mathematicians feverishly working out their infinite equations. It’s a constant carnival of fireworks, revelry, and telephones that ring ceaselessly. But, naturally, this surreal street doesn’t exist in the real world. 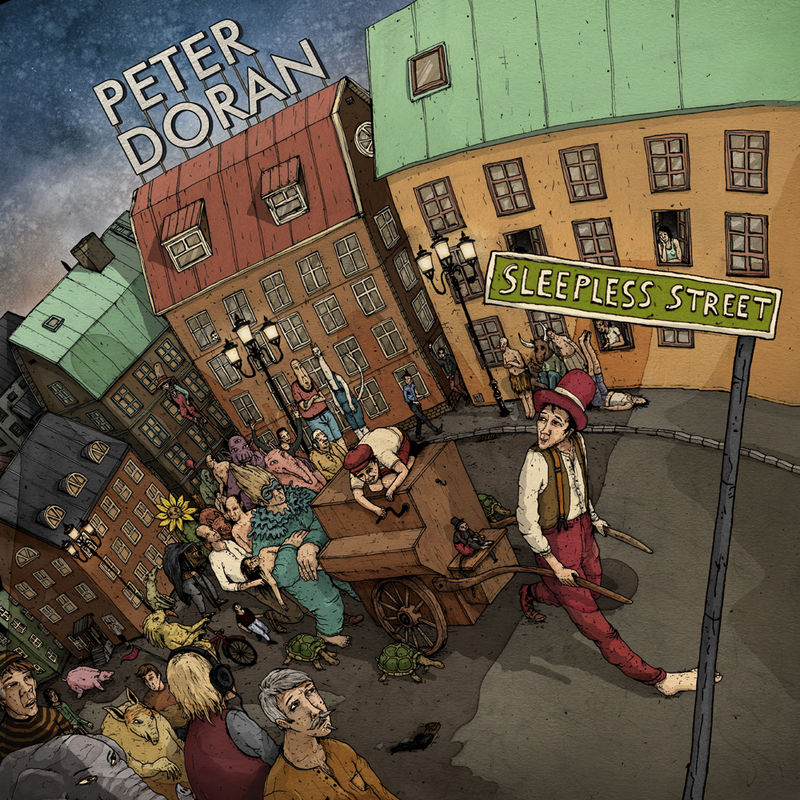 It’s an imagined place, one that lives in the clouded mind of Allison, the confused young girl who inspired the title track to Dublin singer-songwriter Peter Doran’s superbly crafted second album. Which must mean, then, Allison doesn’t really exist, either—or does she? “Sort of,” says Peter, 26. “She’s someone I half knew and half invented. ‘Sleepless Street ’ is about a girl who discovers this whole hidden bohemian world and ends up falling in with a bad crowd, doing drugs, all of that. But, in the song at least, she gets out okay in the end.” The track carries Peter’s tender voice over a flowing canvas of shimmering guitars and soft drums, and floats by like a rambling dream, an epic poem full of vivid vignettes. Of course Ireland is the land of poets—Swift , Yeats , Wilde , Joyce ; the latter writer even spent time in Peter’s hometown of Mullingar. “That tradition makes for a good background to be from, though it isn’t really something I think about,” Peter says. “But I do like reading and, especially, good songwriting. Bob Dylan , Tom Waits , Neil Young —that’s the Holy Trinity for me.” And it’s a fair guess that those giants would be well pleased by the songs on Sleepless Street. Songs like the cello-laced “Someone Else’s Heart ,” a fragile tale of miraculous rescue from the brink of death; and the rocking opener “Hunter’s Sketches ,” in which the artist-narrator reaffirms his resolve for his craft. 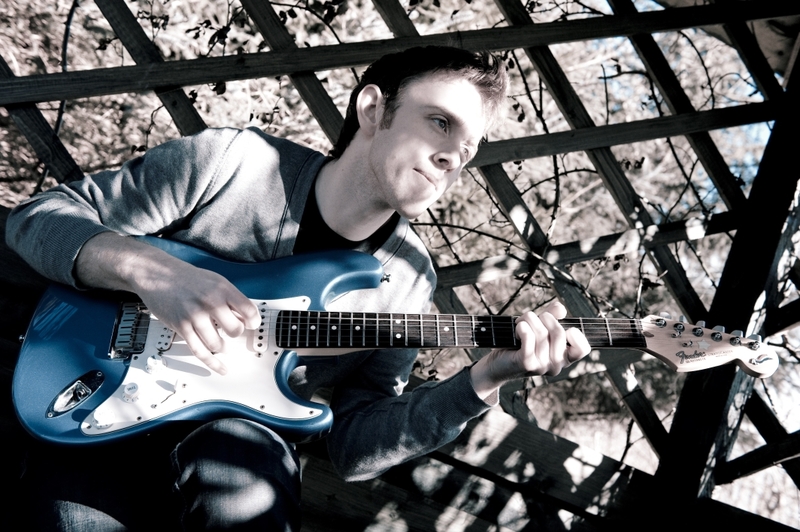 In 2009 Peter was contacted by acclaimed Italian producer Filippo Gaetani, who had heard one of the singer-songwriter’s demo tracks online and was eager to collaborate. “Peter has the capability of moving your soul with simple yet profound lyrics, and his vocal tone and melodies are uncommon,” raves Gaetani, who has worked with Andy Bell , Stefano Bollini , and Adrina Thorpe . “He stands among my favorite folk/alternative artists of all time.” After pre-production at Gaetani’s Tuscany studio, recordings were done at Grouse Lodge in Ireland and eventually mastered at London’s legendary Abbey Road Studios. Sleepless Street is the glorious result, a gorgeous, multi-layered work by a gifted artist swiftly gaining ground on the paths of his idols. With Sleepless Street , Peter Doran’s restless trek continues. Wherever it takes him—and his listeners—is sure to be phenomenal. An intriguing blend of both dreamy and upbeat alternative folk. I think I was about 11 years old when I fell in love with the guitar. In the beginning I had eyes only for the electric guitar. It wasn't until I was 16 or 17 that I made my first steps into songwriting, and I decided that the acoustic guitar would serve me better on this journey. Up until this point I was so obsessed by the guitar as an instrument, I felt that a song was little more than something you could put a guitar solo in! My ideas started to change after I was exposed to some absolutely incredible songwriters both on a local and international level. Suddenly it was Bob Dylan not Joe Satriani that was my new idea of genius, Damien Rice was now a more powerful force than Yngwie Malmsteen ! So I became infatuated with the idea of "song" and thought I'd like to give it a shot myself! Playing a great live show and connecting on a musical level with a room full of people. I think the biggest challenge with running a music business by yourself is trying to book shows, set up websites, handle tour promotions, look for press reviews, send bucket-loads of emails every day... to do all this and still find time / inspiration to write. Yes, that's the challenge. That and keeping your sanity! I never really thought about that all that deeply as a child... I considered kicking footballs and fixing telephones but in the end it was always gonna be music. I come from a small(ish) town in the middle of Ireland called Mullingar. There's always been a great local scene of great musicians, cool venues and people willing to help you on your way. It had a huge impact on how I developed as a musician. My first record was fully recorded in a studio in Mullingar, and my new album "Sleepless Street " was for the most part tracked at a studio about 25mins outside town, that has in the last years been home to Muse , Michael Jackson , Snow Patrol and REM ! Bob Dylan , Neil Young , Tom Waits , John Mayer , Wilco , Radiohead , Midlake , Jeff Buckley , Nick Drake , The National , Joanna Newsom . The future for me is already a thing of the past.